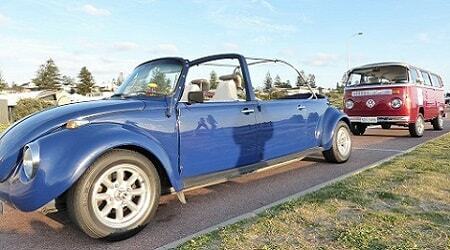 Go cruising around Western Australia in style! Kombi vans for sale are an excellent way to explore. If you want to go on a scenic tour while joining the Kombi club, here are a few options we have for you. Wildflowers are common and an excellent reason to explore. From the windows of a VW Samba, you can see up to 12,000 different species across Western Australia’s landscape. Most of them bloom between June and November. WA has one of the largest collections of these dazzling natural wonders in the world. Coral Coast, the Golden Outback, and Pilbara are ideal for self-drive trails. Forests abound in the area. Ancient trees of karri, marri, and jarrah forests are incredible things to see. Getting kombi vans for sale is an excellent way to see these natural wonders. Drive along the tall tree country of Pemberton or just slow roll through the South Western Highway. Greens Pool and Harewood Forest also come highly recommended. Apart from old trees, you’ll also find rugged granite outcrops and some great picnic spots. A relaxing drive around the countryside is good, too. These are great alternatives to the above options. There are pastures and heritage towns along the Avon Valley, just an hour away from Perth. The WA countryside is a perfect place for someone to relax, get away from the stress of urban life for a while. Another option is the area around the Blackwood River, which has some of the most scenic areas anywhere. Favourite stops along the way are Balingup and Nannup. Bridgetown is also the gate into the wine region, along with walking trails and local arts and crafts.